In keeping with its motive to provide a plethora of opportunities in the technical domain, ISTE organizes , a coding competition as a part of the MANIT Bhopal Annual Students' Conclave 'CHIMERA' annually. Expanding its reach to yet another level, ISTE is proud to announce as an Inter-NIT Online Coding Contest going to be held in the month of January. 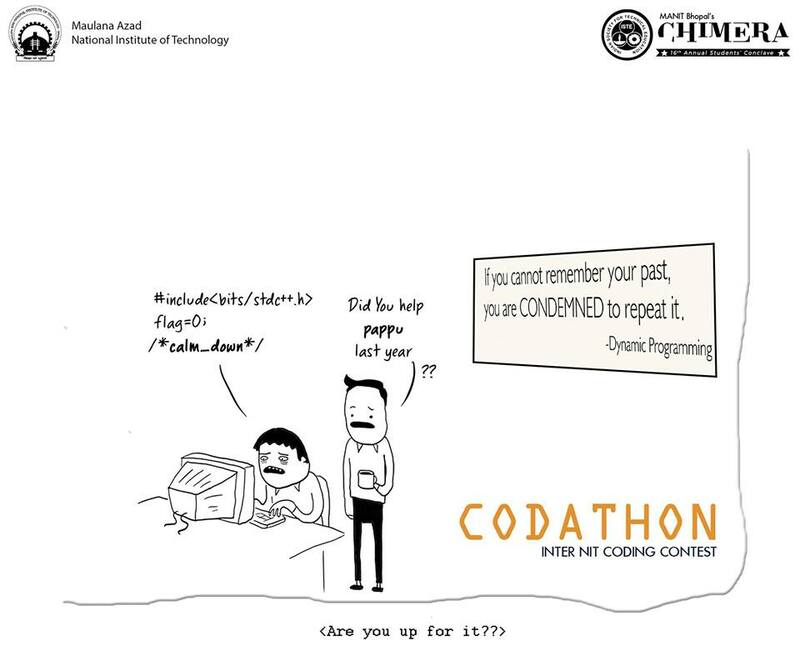 aims to garner participation from all the 31 NITs, find the brightest coding minds through a one-week rigorous coding challenge and reward the best coders with lucrative prizes. • 31 T-shirts as giveaways for our contest winners, one for each NIT top scorer.